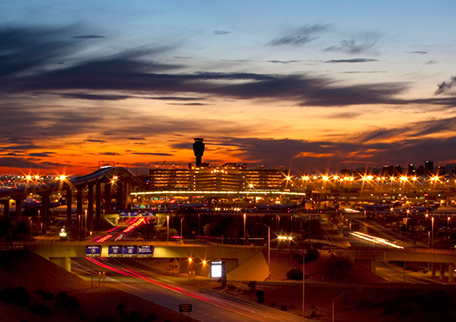 Our friendly community is located southeast of Phoenix and is only a short drive away from the Phoenix-Mesa Gateway Airport. Known for being one of the best places to live in America, Gilbert, Arizona offers 9.8 million square feet of retail and more than 700 acres of designated open space for recreation and entertainment, providing a quality of life that translates to a thriving and diverse community. Gilbert is home to six golf courses, five major parks, four community pools, four community recreation centers, a performing arts center, a privately-owned theatre, an indoor ice arena, a USA BMX facility and the Big League Dreams Sports Complex. We are a great location for your next tournament or special event. 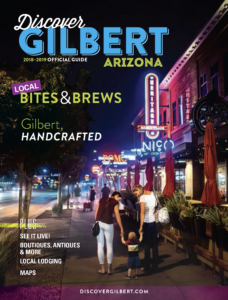 In addition to the diverse tourism amenities, Gilbert’s Heritage District is a true gem. The heart of the community, the Heritage District is where echoes of the old west meet modern cuisine. It has been named one of the five best food neighborhoods in Metro Phoenix by the Phoenix New Times, and is affectionately referred to throughout the valley area as Delicious Gilbert. Meeting space is abundant from small rooms to be used by teams or for corporate meetings to an event center, The Falls Event Center, which accommodates small and large groups. The facility is state of the art and can host groups from 12 for a board meeting to 4,744 square feet of space in the event hall. Contact us today to learn more about the many welcoming accommodations, tour & dining options and meeting space available during your time in Gilbert. Let’s mix a little leisure with your business.